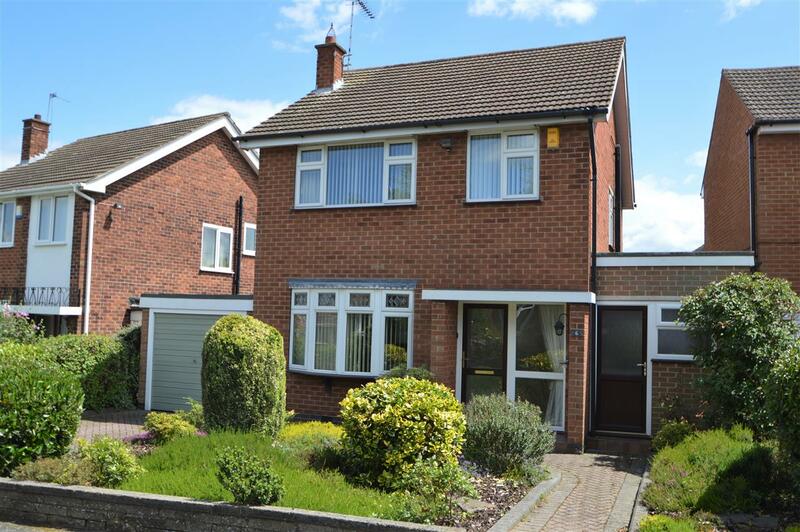 Benjamins are delighted to welcome to the market this excellent opportunity to acquire an extended 3 bedroom detached home, situated in the popular village location of Keyworth with great schools, local amenities and public transport. Benefiting from double glazing the property briefly comprises; entrance hallway, living room, second sitting room, kitchen area, dining room, with separate utility, garage. Access to the property via front door leading into the entrance hall, includes; wall mounted radiator, Guardte security alarm, stairs leading to first floor landing and under stairs cupboard. Double glazed Bay window to the front aspect, gas fireplace with stone surround, two wall mounted radiators and UPVC French doors leading to the second reception room. Double glazed bay window and double glazed side window aspect to the rear. Radiator, ceiling and wall lighting, carpet, door leading to WC. Ground floor WC/ Cloakroom includes WC and hand basin with lighting. A range of base and wall units, roll edge work tops and splash back tiles, stainless steel sink with drainer, electric oven and hob, Worcester combi-boiler (Aprrox 2 years old) , serving hatch, vinyl tiled flooring, doors leading to second reception room and utility room, double glazed window to the rear aspect. A good size three piece bathroom suite includes Villeroy & Boch panelled bath Mira electric shower over with screen, WC and hand basin, Travertine wall and floor tiling, storage base units, wall mounted towel radiator, spotlights and Upvc double glazed window to the rear aspect. 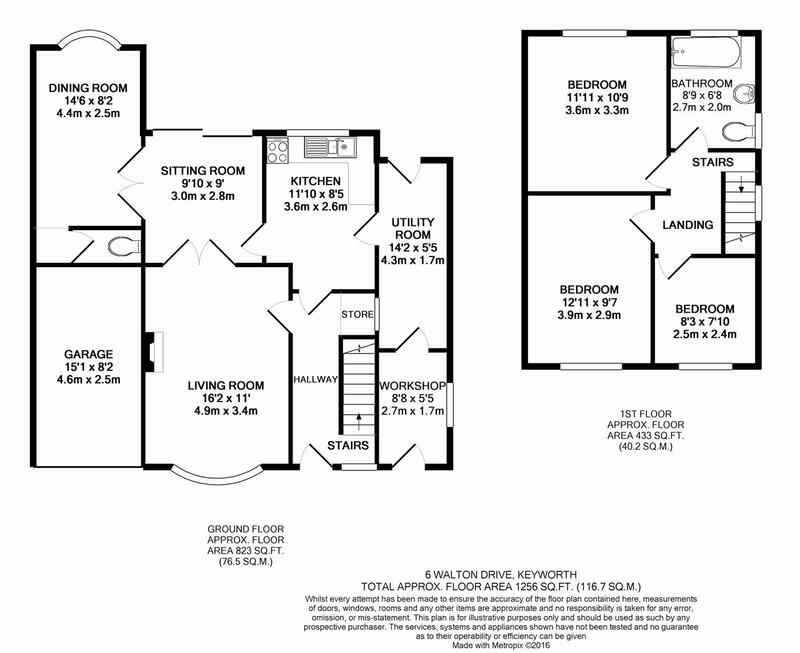 First floor landing gives access to further three bedroom and family bathroom, lighting, carpet, and double glazed window to the side aspect. A good size double bedroom includes radiator, lighting, carpet and Upvc double glazed window to the rear aspect. A good size double bedroom includes radiator, lighting, carpet and Upvc double glazed window to the front aspect. A single bedroom includes a radiator, carpet and Upvc double glazed window to the front aspect. A great size private family garden to the rear of the property with easy to maintain mature plants and shrubs, and a summer house. A very good sized utility room includes power, lighting and access to the front of the property. Single sized garage with up and over entrance door access via driveway.